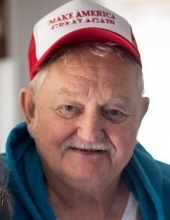 Roger Franklin Davenport, 87 years of age, passed away at his home in Graff, Missouri on April 10th, 2019. He was born on July 31st, 1931, to Franklin Albert Davenport and Florence Davenport nee Youse in Middletown, Ohio. Roger grew up in Indiana and when he was 13 years old, Roger learned to fly airplanes at the local airport; and soloed at that tender age. He graduated Hoagland High School in 1949 and joined the US Navy shortly after graduation. Roger served as a Machinist Mate First Class on the USS Abbot during the Korean War. He would often regale friends and family with tales of adventures he and his shipmates had during their time in the Navy. After leaving the Navy, he returned to Indiana where he met the love of his life, Fannie Margaret Davenport nee Mullenax, and they married in September of 1955. Roger excelled at anything mechanical including building airplanes and race cars. He was also very active in the Experimental Aircraft Association for a large part of his life. Even while spending so much time building and resurrecting planes and cars, he still found time to engage his natural penchant for story telling and colorfully expressing himself by writing tremendous amounts of letters to friends, family and yes, even politicians. He was a man that loved life, and cherished the gift of life so well that it is an inspiration to all who knew and loved him. Roger was preceded in death by his parents and his sister, Marilyn Saalfrank, and many close friends. He is survived by his beautiful bride, Margaret Davenport, son, Joe (Chris) Davenport, daughter, Denise (Duane) Nettesheim, daughter, DeAnna (Darryl) Boehm, daughter,Dottie Davenport and her fiancé, Jason Greener, and daughter, Doreen (David) Hannes, as well as 14 grandchildren and (so far) 28 great-grandchildren. To send flowers or a remembrance gift to the family of Roger Davenport, please visit our Tribute Store. "Email Address" would like to share the life celebration of Roger Davenport. Click on the "link" to go to share a favorite memory or leave a condolence message for the family.